The video represents a glimpse of the material in the installation. ‘Kitchen Confidential’ is an immersive film performance/installation that incorporates three separate films edited in such a way as to interact – to create a choreographed public performance of private kitchen dancing. A fourth film consists of moving text. 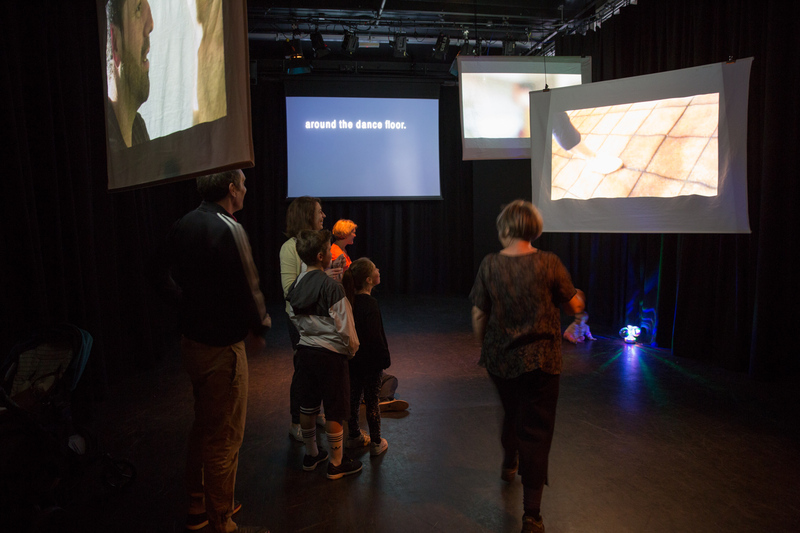 The films can be projected onto tablecloth screens (supplied) to reference the domestic aesthetic in a public space or displayed on four HD screens or a combination of both. Alternatively for a more intimate presentation in small spaces the films can be presented on smaller plasma screens or televisions. 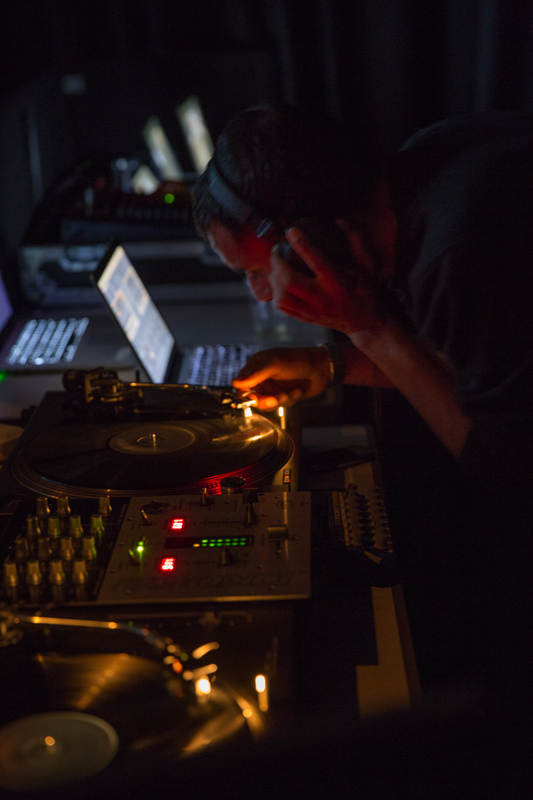 The installation is best presented using a DJ who plays music from a track list designed to include and reflect the type of music played by participants in their kitchens and that compliments the rhythms of the interacting films. 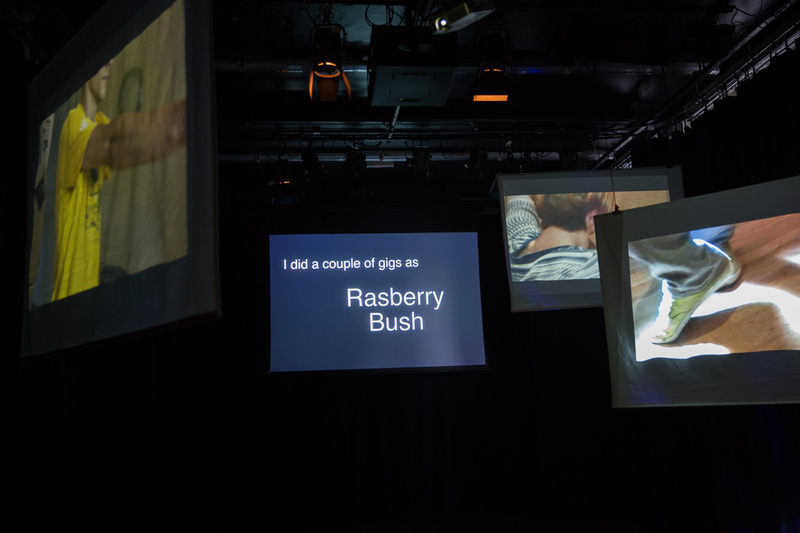 Recorded dialogue from the participants intermittently breaks the musical accompaniment and contributes to the narrative dramaturgy of the piece. The installation examines different types of dance and the reasons why people dance. It considers the kitchen as a space for memory, ritual, socialising, self-expression and stress release – for letting off steam! I carried out all filming by myself (using a HD professional camera) in order to keep disruption of people’s lives to a minimum. The filming involved participants re-enacting their kitchen dancing. For example, Chris who is a retired hospice nurse tends to practice the steps that she learns in her tap and disco dancing classes while she is carrying out kitchen chores such as preparing meals or washing up etc. She always has the radio on and sometimes her dancing becomes more free style when she hears a record that she likes. Pijus, on the other hand is a semi professional body popping dancer. He uses his kitchen as a studio in which he can rehearse; he moves the kitchen table away to create a large space and has a PA system in the kitchen. The participants were interviewed about their dancing, their life and the way they use their kitchen. The editing process was the first step in the development of the choreography of the piece and can be seen as my personal response to the participants’ engagement with dance in their own space, to their own music. The narrative dramaturgy was created by utilising carefully selected dialogue from interviews with the participants. All images by David Wilson Clarke unless otherwise stated.